Read the first chapter of My Love, My Enemy free! JanCoxSpeas.com is delighted to bring you an exclusive sneak peak of the first chapter of the Family Authorized Edition of My Love, My Enemy, with a new foreword by the author’s daughter, Cindy Speas! Click here to go to Amazon.com to purchase this newly released Kindle edition of Jan Cox Speas’ third novel. Posted in News | Comments Off on Read the first chapter of My Love, My Enemy free! JanCoxSpeas.com is delighted to announce the rerelease of My Love, My Enemy as a Kindle eBook on Amazon.com. Please visit us soon for a sneak peek of the first chapter of this wonderful tale of adventure and romance on the high seas during the war of 1812! 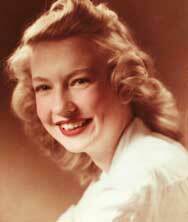 Jan Cox Speas’ daughter, Cindy Speas, recounts her mother’s life, love and legacy. Welcome to JanCoxSpeas.com where you'll find information about the author's published and unpublished works, news and information about upcoming releases and other details about the author's life and inspiration.